In 2016, those who still say battery-electric vehicles don’t have a future probably haven’t spent much time in California. The California Air Resources Board (CARB)’s policies, which predate those of the federal government, treat the internal-combustion engine as a chronic offender that is beyond hope for reform. For 26 years, the state has been keeping the faith in a single solution: zero-emission vehicles (ZEVs), a category that includes both hydrogen fuel-cell vehicles and battery-electric vehicles. After spinning its wheels in the General Motors EV1 era of the late 1990s, CARB finally has found the traction to spur a major automotive and cultural shift with its ZEV mandate. So excuse us for skipping over the question of whether battery-electric vehicles (BEVs) or hydrogen fuel-cell vehicles (FCVs) will still be around in 2025; CARB will make sure they will. Which one of these technologies will win in the long run and replace gasoline? While it’s too early to say that with certainty—and gasoline-powered vehicles are expected to make up a significant portion of the mix for decades—battery-electric vehicles are looking like the clear winners for at least a number of years ahead. BEVs were first out of the gate; hydrogen fuel-cell vehicles have closed the gap in performance, but some daunting infrastructure hurdles remain. Toyota and Hyundai both currently offer FCVs to private individuals in Southern California. By next year, Honda and General Motors, among others, are expected to rejoin those ranks. Hydrogen’s recent surge is more than a happy accident, though. While CARB claims its policies are technology neutral, the regulations that influence what automakers build, combined with state incentives, have been giving hydrogen some ammo in its war with batteries. To give both BEVs and FCVs a fighting chance against gasoline-powered vehicles, California’s ZEV mandate attempts to do what free-market forces cannot: coerce manufacturers to build expensive and unproven cars. That is to say build cars without an established supply base, before the refueling infrastructure is in place, with no economies of scale, and with no guarantee of turning a profit. It’s a grand social-engineering experiment, but policymakers also see it as necessary. Passenger cars and light-duty trucks are responsible for roughly half of the petroleum consumed and 13 percent of the greenhouse gases emitted in the United States. California’s regulators believe we can’t address climate change without cleaning up the car. California manages the ZEV mandate using its own version of Monopoly money known as ZEV credits. Automakers earn different types of credits for the different types of automobiles they sell in the state, including ZEVs, plug-ins, hybrids, and low-emission internal-combustion cars. Nothing’s simple when it comes to government regulations, and depending on the type of propulsion technology, as well as various other parameters (charging time, EV range, etc. ), one vehicle sold does not always equal one credit, and some earn many credits for each unit sold. Through 2017, the largest automakers—Fiat-Chrysler, Ford, General Motors, Honda, Nissan, Toyota, and anyone else who sells more than 60,000 vehicles per year in the state—must earn ZEV credits equal to 3 percent of their California sales, with requirements for plug-ins, hybrids, and low-emission vehicles equal to another 11 percent of sales, for a 14 percent total. ZEV credits become real money when CARB starts its annual accounting of credits and manufacturer obligations. To make up for a shortfall or to cash in on an abundance of credits, carmakers can buy or sell them from and to each other. If they fail to come up with the necessary credits, they face a $5000 penalty for every one they’re short. So far, no company has paid a penalty—unlike the federal government, which has levied fines against a number of automakers for failing to meet its Corporate Average Fuel Economy (CAFE) rules. Now the industry is bracing for a ZEV midterm rules change. For 2018, it will drop the annual volume threshold to 20,000 California sales (verified with a special calculation using multiple model years), while the yearly ZEV requirement—for most automakers, a mix of advanced-technology vehicles—must add up to 16 percent of sales. Previously, automakers could meet up to 100 percent of their ZEV requirement by purchasing credits from other automakers, but CARB phased in rules beginning in 2012 that essentially force all large automakers to build some ZEVs or fuel-cell vehicles. These deterrents reach beyond the borders of the Golden State. By law, California is the only state in the union permitted to create its own emissions regulations that supersede federal requirements. Other states, however, are allowed to adopt the rules California creates. 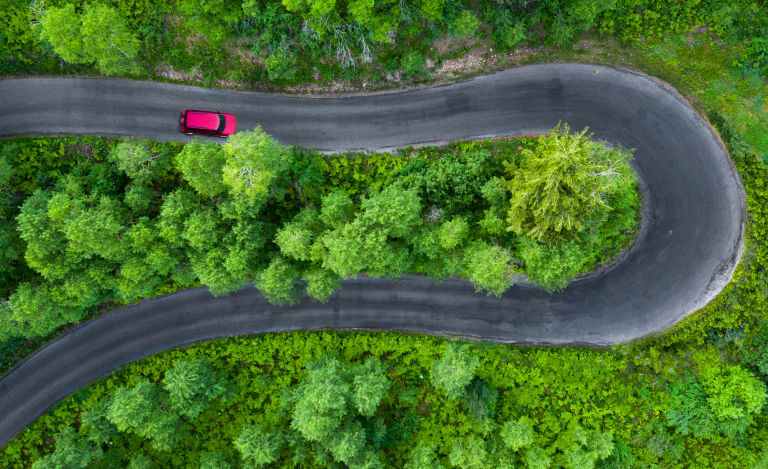 Those have come to be known by industry and regulators as Section 177 ZEV mandate states: Connecticut, Maine, Maryland, Massachusetts, New Jersey, New York, Oregon, Rhode Island, and Vermont. Furthermore—and here’s what automakers are concerned about—2018 marks the expiration of something called the Travel Provision. That’s a rule that effectively allowed automakers to earn credits in every ZEV state for vehicles placed in any ZEV state. With that seemingly minor change, automakers will suddenly be effectively required to sell a mix of BEVs, plug-in hybrids, and/or hydrogen fuel cell vehicles in each of those states as well as California. But wait, there’s more: To recognize the regional appeal of some ZEVs, a new allowance will let some automakers optionally trade credits among the non-California Section 177 states, between East Region and West Region pools—with the latter including only Oregon, which could push that state’s ZEV volumes far higher. It’s going to get even messier. If anything, California may be turning the tide against hydrogen fuel cells with a couple of subtle but significant moves. First, the 2018 revisions drop fuel-cell vehicles to a maximum of four credits, the same as long-range BEVs, by dropping what was called a Rapid Refueling credit bonus that had the makers of 200-mile-plus fuel-cell vehicles cashing in big with nine credits per vehicle. It also had Tesla claiming this credit with its controversial and limited reach battery-swapping scheme, which remains an eye-roll-worthy credit grab until proven otherwise. Second, they allow automakers to take increasing advantage of what California terms a Zero-Emission Vehicle Miles Traveled TZEV Allowance. Through a formula applied, taking into account the all-electric miles it’s rated to, a plug-in hybrid—yes, one that still has a real gas tank—can earn up to 1.1 credits. For now, selling BEVs and FCVs is a game of strategy centered on maximizing credits while minimizing cost, and the plug-in hybrid increasingly looks like the medium-term solution: It will let automakers share technology while complying with EPA rules that favor hybrids but don’t require ZEVs. Automakers must reconcile massive research-and-development expenses with meager sales for at least the first generation of alternative-fuel cars. They end up subsidizing the purchase of thousands of vehicles to the tune of thousands of dollars per sale, and they must balance their costs against consumer demand and ZEV-credit requirements. Which is why few automakers other than Tesla want to sell many more electric vehicles—or fuel-cell vehicles, which are even more costly to produce—than it has to. Credits earned for pure BEV models depend on their rated driving range. For several years, the industry’s offerings have suggested that the intersection of technology, cost, consumer acceptance, and ZEV-credit generation is a compact BEV with roughly 75 miles of real-world range. Those early cars—such as the Mitsubishi i-MiEV, the Nissan Leaf, and electric variants of the Chevrolet Spark, the Fiat 500, the Ford Focus, and the Honda Fit—earned their manufacturers three credits per vehicle sold. Since Tesla only builds ZEVs, it has no need for the ZEV credits it earns. Instead, it sells them to other automakers that are either out of compliance or hedging against stricter regulations coming in the future. Tesla has reported as much as $76 million (in 2014) in quarterly revenue solely from credit sales to other automakers, but because there are so many credits in the CARB ecosystem, automakers may be able to meet 2025 requirements with as few as 6 percent actual ZEV vehicles in their fleets—far from the 15.4 percent market-share goal for that time. Tesla CEO Elon Musk has complained that the rules are weak. CARB currently doesn’t set a value for the secondary market but might consider limiting the number that a particular automaker can sell. That, the Travel Provision, and other details are all up to be tweaked or revisited as part of a midterm evaluation of the program, due late this year and looking ahead to 2018 and beyond. California’s rules are changing and, with them, the prospects for fuel cells. 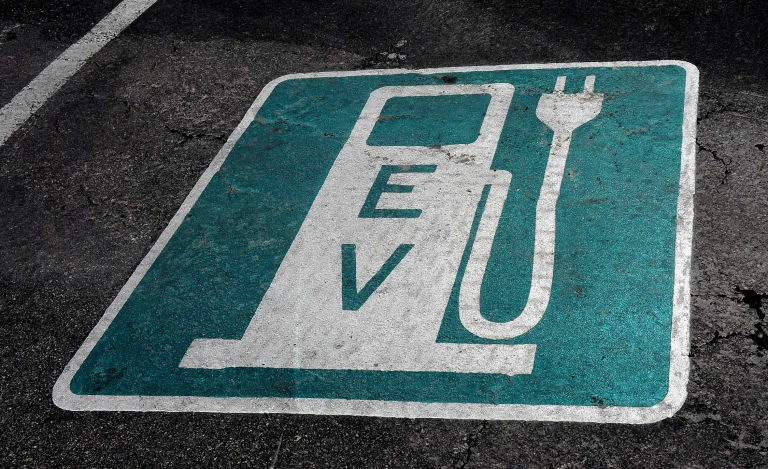 In 2018, a vehicle’s electric range will become the only factor in determining the number of credits it earns. For a couple of years, hydrogen FCVs were poised for a surge—the Hyundai Tucson fuel-cell vehicle and the Toyota Mirai are the two available now—but it’s not looking as favorable now. One reason is that prices have been falling much faster than anticipated on lithium-ion battery packs. At a current cost of around $200 per kilowatt-hour, by some estimates, it remains cost prohibitive to produce an affordable mainstream electric car with a driving range rivaling that of gasoline vehicles. Once costs reach $150 per kWh—now foreseeable in the next decade and possibly even in the next five years—the two almost will be at parity. You can’t yet say that about fuel-cell vehicles and their expensive stacks. What’s missing from the electric-car experience, even in a few years if they become truly competitive, will be the means to charge quickly and easily and to keep with the American freeway-exit lifestyle. The lack of cohesive charging infrastructure is what could hold it all back, but Tesla’s Supercharger network has teased what can be done. With a growing level of automaker involvement in fast-charging networks, and perhaps most important, the development of a faster (up to 350 kW) fast-charge standard—that’s nearly three times quicker than Tesla’s 120-kW Superchargers—the charging infrastructure is looking like another hurdle that may be on track to be cleared. That’s thanks in part to a recent strategic partnership announced by the White House, with the Department of Transportation and the Department of Energy, to bring that sort of convenience to some U.S. travel corridors by 2025. Fuel-cell vehicles no longer are at a credit advantage in the system. The current crop of 75-mile BEVs will earn somewhere around 1 to 1.5 credits under the 2018 rules, but the Chevrolet Bolt EV, for example, EPA rated to 238 miles, will earn around three credits under the new scenario. Carrying more hydrogen in an FCV only means a larger carbon-fiber fuel tank, which adds minimal additional cost. FCVs should easily earn the maximum of four credits for 350 miles of range. Nevertheless, there are more hydrogen vehicles on the way. Honda will release a Clarity fuel-cell sedan later this year, while Lexus and Audi have shown hydrogen concept vehicles over the past year. GM also has a program to use fuel-cell-powered Chevrolet Colorado trucks in U.S. military operations. California bullishly anticipates 13,500 fuel-cell vehicles in use in the state in 2019 and 43,600 in 2022. As of July 2016, just 331 fuel-cell vehicles were registered in the state. 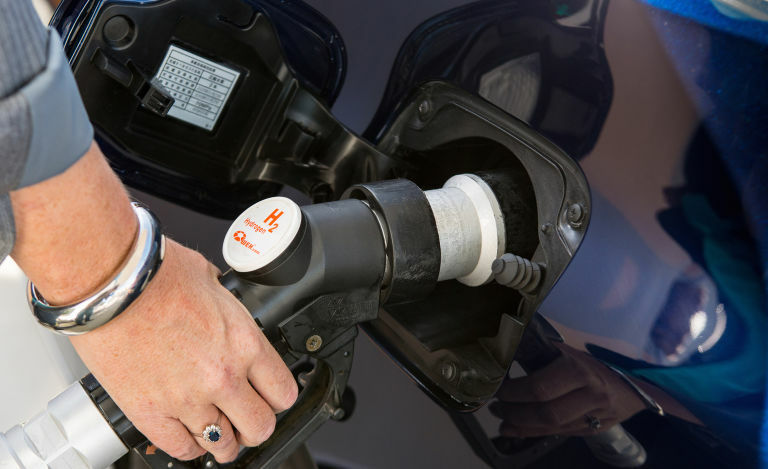 For those, there are now 26 hydrogen fueling stations available for use in the state, with 20 of them in an open-retail format somewhat like a gas station. The state points to 25 other funded stations in various stages of development and aims to have 38 open by the end of the year. But station development has, for several years, failed to meet projections, and other states lag even further behind. It costs about $2 million to build a single hydrogen station. For the same money, you could purchase and install more than 50 DC fast chargers. The state encourages FCVs at the consumer level by doubling the battery-electric tax credit for them. With the feds chipping in up to $8000, a hydrogen vehicle in California gets a total incentive as high as $13,000, versus $10,000 for a BEV. The goal remains simple. CARB wants to see electric-drive vehicles—whether fed via the grid or by hydrogen—render tailpipes and internal-combustion engines obsolete. “Our 2050 target sees a fleet which is basically all ZEVs,” summed up spokesman Dave Clegern. 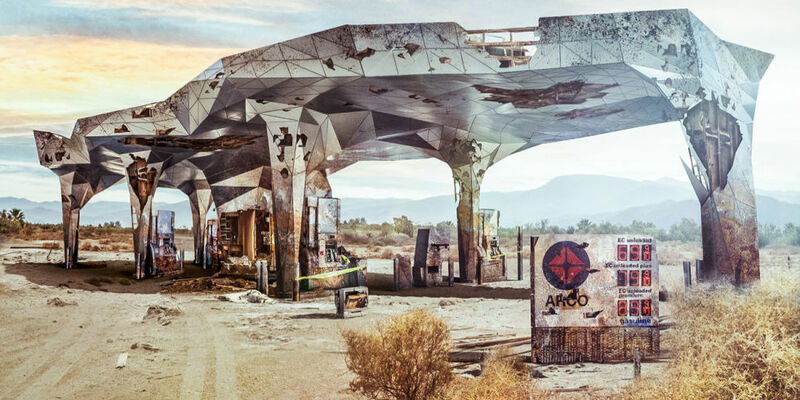 What replaces gasoline on a national scale is anybody’s guess, but it takes a healthy imagination to envision the necessary infrastructure for hydrogen spreading across the country anytime soon. Meanwhile, every home in America is already equipped to recharge a BEV if the technology can mature enough to provide longer range and faster recharging. As California goes, so goes the nation?